Chef Graham Elliot, who is hilarious. Note the shirt. 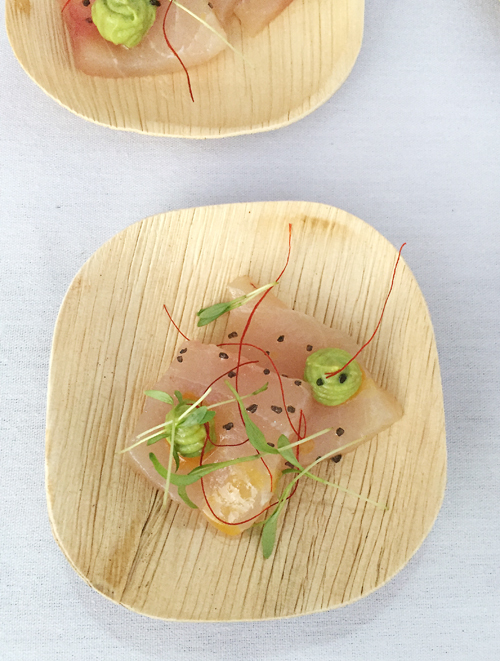 MAUI, HAWAII — This year’s Maui portion of the Hawaii Food & Wine Festival featured an impressive line-up of illustrious chefs. I had a chance to sit down with four of them last week: Graham Elliott who’s become one of the most recognizable faces, thanks to his stints judging “MasterChef” and “Top Chef”; Rory Hermann, director of culinary operations for Sprout Restaurant Group in Los Angeles, which includes Otium, Bestia, Republique, Barrel & Ashes, and the Rose Cafe; Lincoln Carson, one of the nation’s premier pastry chefs who worked for eight years with the Michael Mina Group, and now has his own Lincoln Heavy Industries Pastry & Hospitality Consulting company in Los Angeles; and Pastry Chef Michelle Karr-Ueoka, who owns MW Restaurant in Honolulu with her husband, Wade Ueoka. They were all part of the festival’s “A Chef’s Paradise. The walk-around evening repast, held on the lawn at the Sheraton Maui Resort & Spa, featured cocktails, wines, and creative bites. 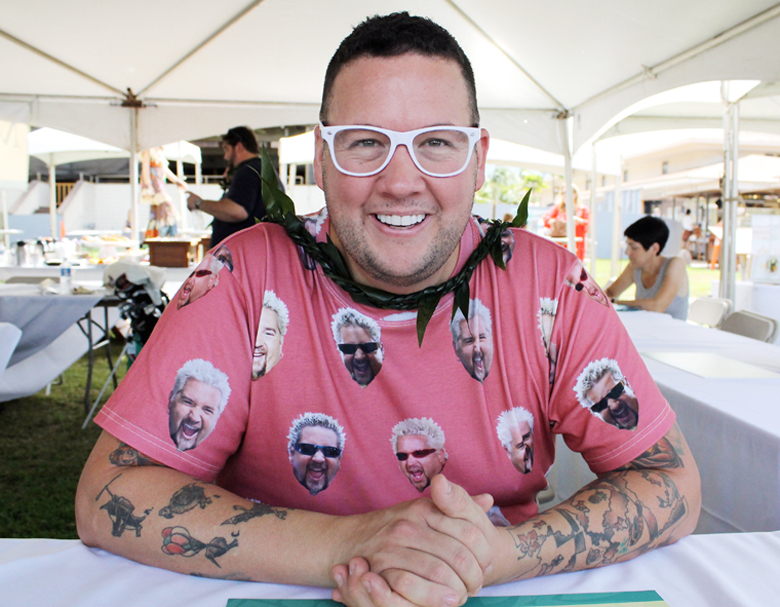 The chefs talked about their favorite Hawaiian ingredients, their guilty pleasures, and more. Carson and Karr-Ueoka also confirmed that they will be partnering with Michael Mina to open specialty food boutiques in his The Street, a gourmet food hall, in the newly transformed International Market Place in Honolulu. Look for The Street to open sometime in the first half of 2017. It will join Mina’s StripSteak, which opened its doors there earlier this summer. Elliot’s dish of Hawaiian Kajiki (blue marlin) crudo with toasted coconut, Maui lilikoi, and whipped avocado. Q: What’s it been like for you to be on all of these TV cooking competition shows? A: It’s super fun. I get to be myself on them. I want to educate people about cooking. If you have a contestant on “MasterChef,” the worst thing you can do is s–t on them about making something awful. Instead, I try to tell them how it could be better. Q: Your favorite Hawaiian ingredient? 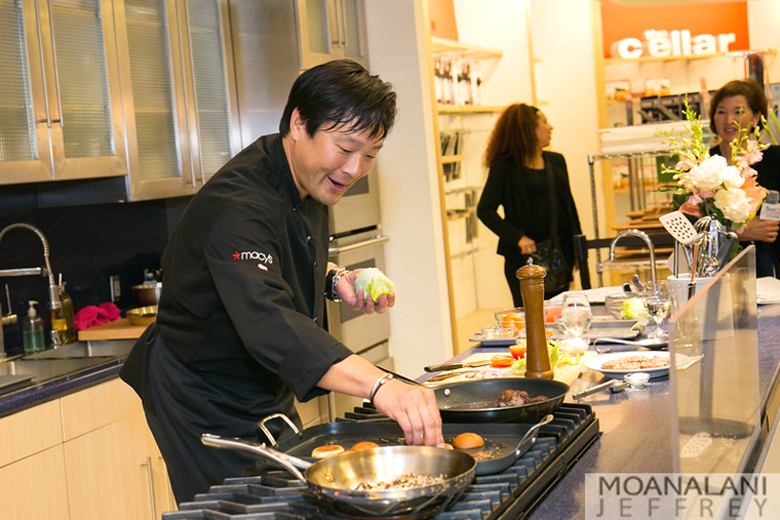 After interviewing celeb Chef Ming Tsai five years ago by phone, I finally had the chance last Thursday to spend time with him face to face, when I hosted him at his cooking demo at Macy’s Valley Fair in Santa Clara. The 51-year-old James Beard Award-winning chef-owner of Blue Ginger and Blue Dragon in Massachusetts, star of “Simply Ming’’on PBS, and member of Macy’s Culinary Council, is also the ambassador for Family Reach, an organization that offers emotional and financial assistance to families with a child or parent afflicted with cancer. 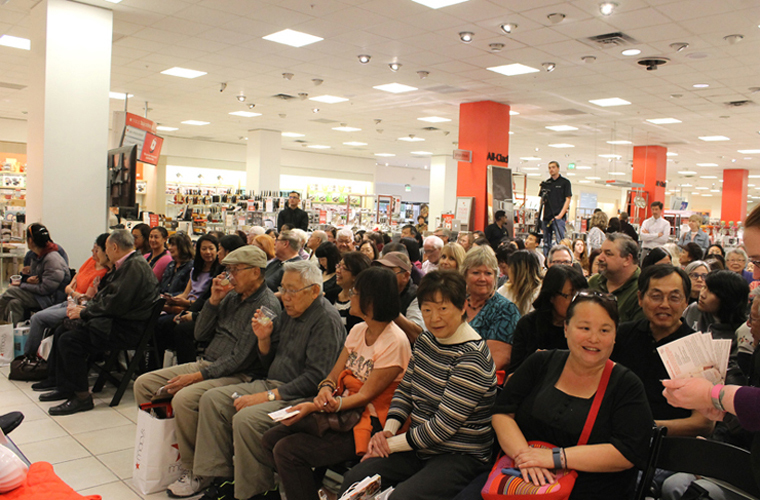 More than 100 adoring fans turned out to watch Tsai cook salmon salad with citrus and pine nuts, shiitake and parmesan sliders, and almond-oatmeal cookie ice cream sandwiches. Tsai is no stranger to the Bay Area, having been a sous chef at Silks at the Mandarin Oriental in San Francisco way back when. His parents, Stephen and Iris, also live in Palo Alto. His father, a former rocket scientist in Dayton, OH, is a professor emeritus in aeronautics at Stanford University. After lunching with their son that day at Lyfe Kitchen in downtown Palo Alto, Tsai’s parents drove down from Palo Alto to watch from the front row as their son cooked and captivated the audience with his quick wit. Tsai joked that after he married his wife and she took his surname, she became her very own major. That’s because she became – wait for it, wait for it, and say it aloud – Polly Tsai. 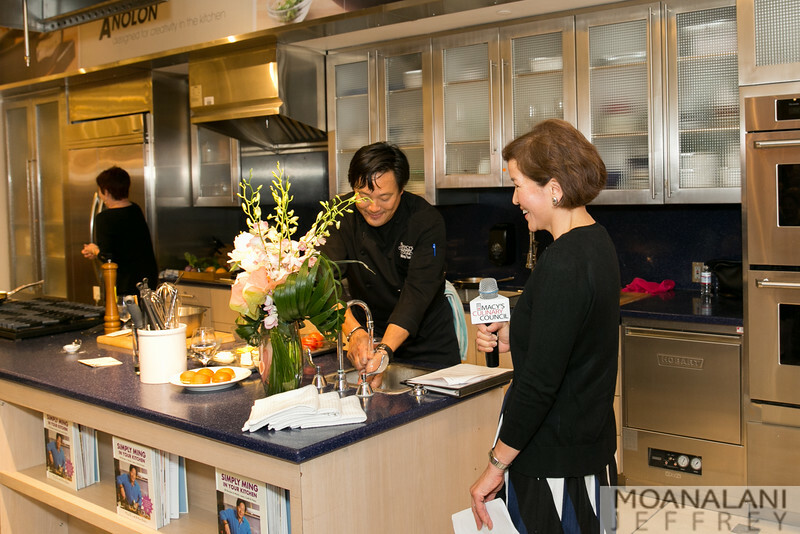 As Tsai posed for photos and signed copies of his cookbook after the demo, he spoke in Mandarin to some elderly Chinese ladies, and even revealed that his name actually translates from Chinese into “brilliant dish.’’ How apropos is that? What follows is a short interview I did with him prior to the demo. Q: How old were you when you cooked for the first time? A: I was 6. I made my own Duncan Hines cake – vanilla. I friggin’ loved it, taking the mix, adding egg and oil, and boom – cake! My friends who were all out playing baseball made fun of me. They were like, ‘You’re doing what?’ But then I sold slices of cake to them for 25 cents each. Pretty smart, huh? What you may not know is how she got that coveted job, or how superstar Chef Jeremiah Tower played a pivotal role in her making a dramatic career change, or how Darth Vader’s creator played a part along the way, too. A few months ago, I had a chance to chat with Forberg about all of that and a whole lot more. Q: You were a flight attendant in 1986 when Jeremiah Tower happened to be on your flight – and that experience totally changed your life? A: Yes, it was a flight from New York to Nice. I was working economy and he was sitting in first class. I was crazy about Stars. I had his cookbook and cooked all the recipes. He was my idol. I heard through the grapevine that he was on the flight. When I went up to meet him, he was sleeping, so I didn’t even get a chance to meet him. I had wanted to change careers for so long. It planted the seed. I couldn’t sleep that night. When I got back to New York, I went to a pay phone outside customs at the airport and called the California Culinary Academy in San Francisco. And that was that. I quit my job to go to cooking school. Q: Years later, you wrote him a thank-you note? A: Over the years, I’ve been interviewed by so many people who ask why I became a chef. Every time, I tell that story. And each time I do, I think that I have to tell Jeremiah Tower since I never even really got to meet him. He wrote back that it was one of the nicest notes he’d ever received. Q: After cooking school, you landed an impressive first restaurant job. A: I was on the opening team of Postrio. That was before Wolfgang Puck had so many restaurants, so he was actually there. I trained with him on the sauté and sauces stations, before going to the pasta station, which was very, very busy, because we made everything in-house. I learned a lot and he greatly influenced my style of cooking. But I had no aspiration to own my own restaurant. Instead, I started moonlighting for private clients in San Francisco who could afford a private chef. Q: That led to you getting hired by someone quite famous? 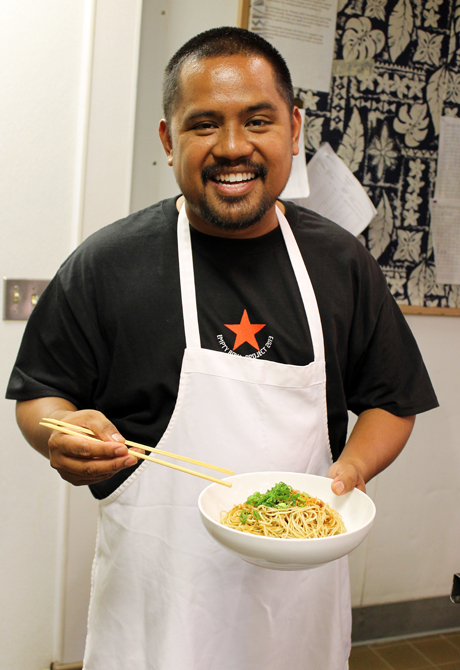 Chef Sheldon Simeon of Star Noodle in Maui. To say that life has changed for Chef Sheldon Simeon would be an understatement. 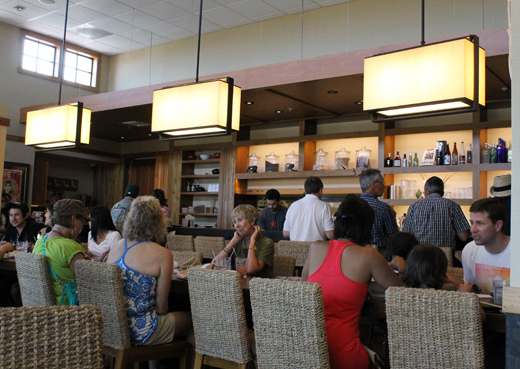 The crowds at the other restaurant he oversees, Leoda’s Kitchen and Pie Shop, aren’t too shabby, either. 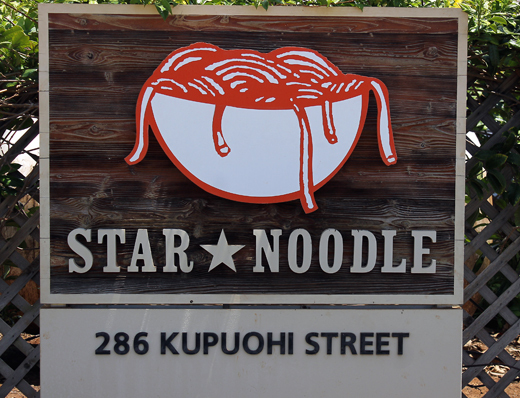 When I visited Maui earlier this month as a guest of the Maui Visitors and Convention Bureau, I had a chance to sit down with Simeon at Star Noodle, where in between answering questions, he’d graciously accommodate the many diners who wanted to pose for photos with him. The 30-year-old chef, husband and father of three young daughters who was born on the Big Island, chatted about the impact the television show has had on his career that began humbly enough as a restaurant dishwasher. Q: Why did you want to do “Top Chef’’? A: I could see the opportunity it brings. It’s been overwhelming at times, but also a blessing. It was a chance for me to represent Hawaii. I wanted to test myself. Q: What was the hardest part about doing the show? The dining room has always been packed, but even more so now after “Top Chef” aired. Q: Did you practice in any way to prepare for the challenges? Sporting a girly ponytail, a sailor’s mouth, a wicked sense of humor, and a brand new tattoo of a large rooster on her left bicep, Sarah Burchard looks every bit the tough-girl chef. She also knows her stuff. The 31-year-old former head chef of Barbacco in San Francisco, has cooked at some of the top restaurants in the Bay Area, holding her own even when she was the only woman in the kitchen. Cooking professionally has been something she’s wanted to do ever since she was a little girl, growing up in San Diego and then on the Peninsula, baking cookies with her Mom. But two years ago, she decided to step away from that routine to start a company with her boyfriend, Spencer O’Meara, former chef of Paragon in San Francisco. 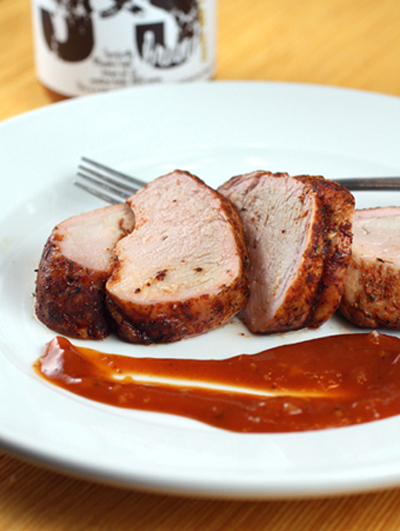 S&S Brand (named for their first initials) makes small-batch gourmet barbecue rubs and sauces. They’re sold on their company Web site, as well as at 23 retail locations, including Bi-Rite Market in San Francisco, Willows Market in Menlo Park, the Pasta Shop in Oakland, and Robert’s Market in both Woodside and Portola Valley. 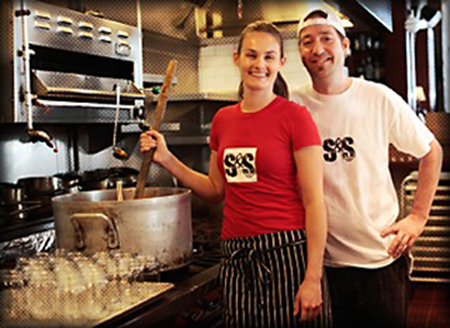 Enjoy a taste at the S&S Shack pop-up event, 6 p.m. to 9 p.m. April 16 at Mission Rock Resort in San Francisco. Burchard and O’Meara will be serving up rye soft pretzels with beer cheese sauce, bloody Mary shrimp “cocktails,’’ mini brisket bacon cheddar sliders, jerk chicken, hot links, “burnt ends’’ baked beans, corn bread with apricot jam and honey butter, Carolina vinegar slaw, PB&J donuts, and Jaegermeister ice cream shakes. Tickets are $40 each. 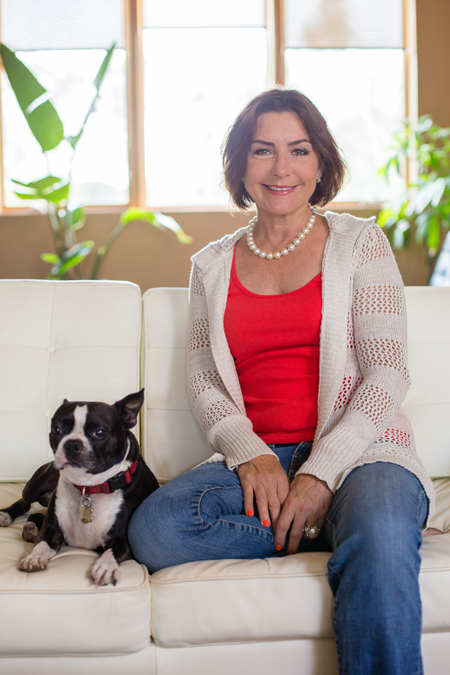 Recently, I had a chance to chat with Burchard about her first job (think ice cream), why she’s consumed by barbecue, and the nickname that Chef Staffan Terje of Perbacco bestowed upon her. Q: You really knew since you were a kid that you wanted to be a chef? A: I figured it out pretty quick. I loved to cook as a kid. My Mom taught me how to make the perfect grilled cheese. My Dad used to work at a fish market, so he taught me the appreciation of good seafood. My first job was at Baskin-Robbins in Foster City. I was 15. A bunch of my friends from high school were working there, so it was like we ran the joint. It taught me a lot of responsibility. We closed down the shop at 10 p.m. every night. We did inventory. We counted the cash drawer. And I was making $4 an hour. It was good experience. We used to eat ice cream like it was going out of style. The owner let us eat however much we wanted, probably thinking we’d get sick of it. But we never did. Mint chip was my favorite. After that, I worked at a deli in Foster City for four years. I loved it. I was in junior college for about a year, completely uninspired. It was around then that I decided to screw junior college and go to culinary school. I told my Mom, and she was like, ‘What? !’ She said she saved her entire life to send me to college, that I was going to only one college, so I better pick wisely. Q: You chose the California Culinary Academy in San Francisco, which led to your stint at Viognier in San Mateo? A: I did my internship there, and they kept me on after I graduated. That was also when ‘Kitchen Confidential’ came out. I read it and that sealed it. That was what I wanted to do for a living. I just love to cook. When I’m not cooking professionally, I’m at home, cooking. I love reading about it, learning about nutrition, everything about it. I love the camaraderie in the kitchen.